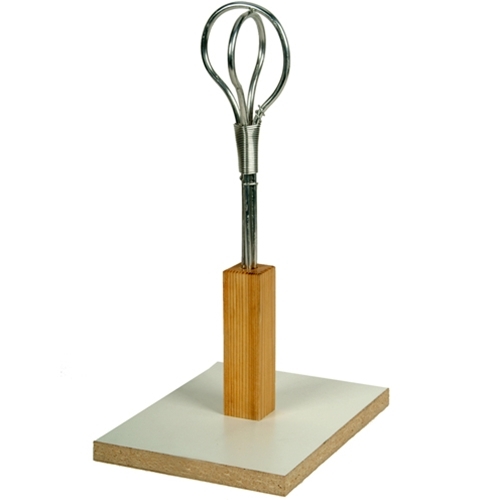 This strong, adjustable 15” head armature serves as your internal support framework for modeling with sculpting materials that cannot support their own bulk, typically if you are using more than 5 lbs. of modeling material. Our armature is designed for models that will be 5/8th-life size and includes the head and partial neck. It is built of non-staining, non-corrosive aluminum wire with a steel backiron that is attached to a Formica base over heavy gauge plywood.